It’s Ashwin’s dedication and splendid bowling techniques which have ranked him among the top 20 in ICC’s Test Rankings. Indian International Cricketer Ravichandran Ashwin was born on 17 September 1986 in a Tamil Brahmin family in Chennai. Ashwin has a B.Tech degree in Information Technology. Not many of us know this, but cricket was never Ashwin’s first career choice; he dreamt of becoming a football player. He’s a right arm off-break bowler and a right-handed batsman. Ashwin is the fastest Indian bowler to take 50 wickets and 100 wickets in Test cricket. After Ajantha Mendis of Sri Lanka, Ashwin is the only bowler known for bowling carom ball. He’s a bowler who uses a lot of variations in his game. He knows his game well and has taken about 245 wickets since his debut. In first-class cricket, Ashwin is an all-rounder for Tamil Nadu. He debuted in T20 Cricket against Andhra Pradesh. In the Champions League Twenty20 tournament of 2010, Ashwin was the highest wicket taker for Chennai Super Kings. He took 13 wickets and became the player of the tournament. 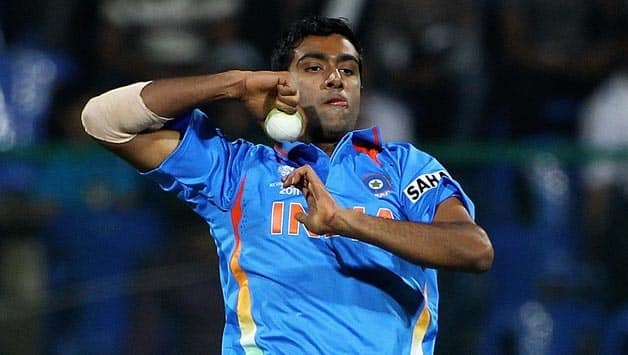 Immense talent, calm demeanour and the determination to perform better are the qualities which perfectly describe Ashwin’s ability as a talented sportsperson. He’s given his best and therefore the expectations are higher this time. The pressure will mount on him; however, performing under pressure is another great quality of a good sportsperson. Ashwin’s ODI debut was against Sri Lanka in 2010. In 2011, Ashwin was part of the ICC Cricket World Cup squad representing India where he played two matches. Later, he made his World Cup debut in March 2011 against the West Indies. It’s Ashwin’s dedication and splendid bowling techniques which have ranked him among the top 20 in ICC’s Test Rankings. He’s in form and among the top bowlers in the league; thus, Indians have their eyes fixed on him. His fans are waiting for him to use his clever techniques and to make many more records this World Cup!